Bee Lab Coworking is a COWORKING space located in Madrid where you can work, develop your projects, share ideas and collaborate, whether you are self-employed, freelance or SME. 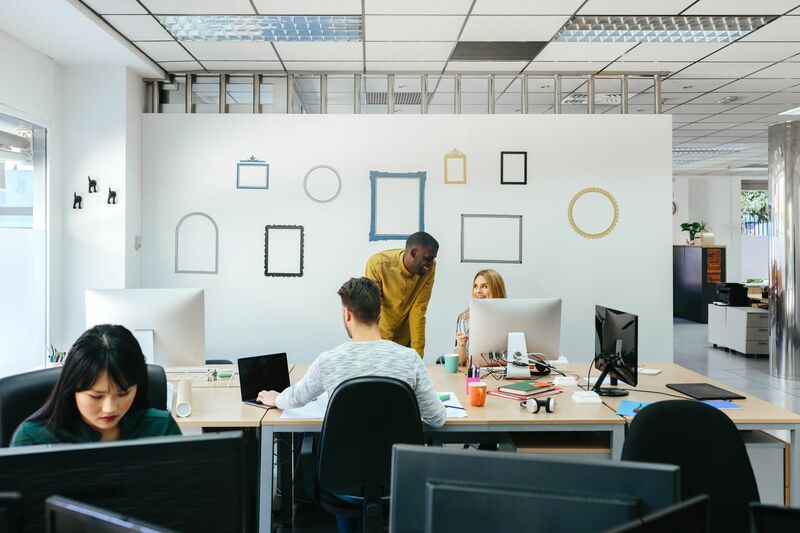 In a space of more than 400 square meter fully equipped, very bright and with a unique working environment, creativity and learning, you will be able to boost your project loaded with energy and motivation. 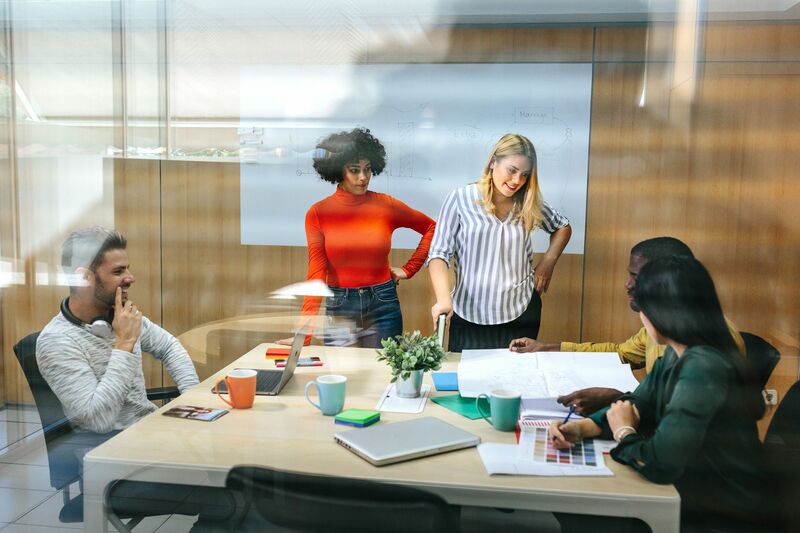 Our coworking allows our members to connect with each other, work productively and grow their businesses, creating a positive synergy. 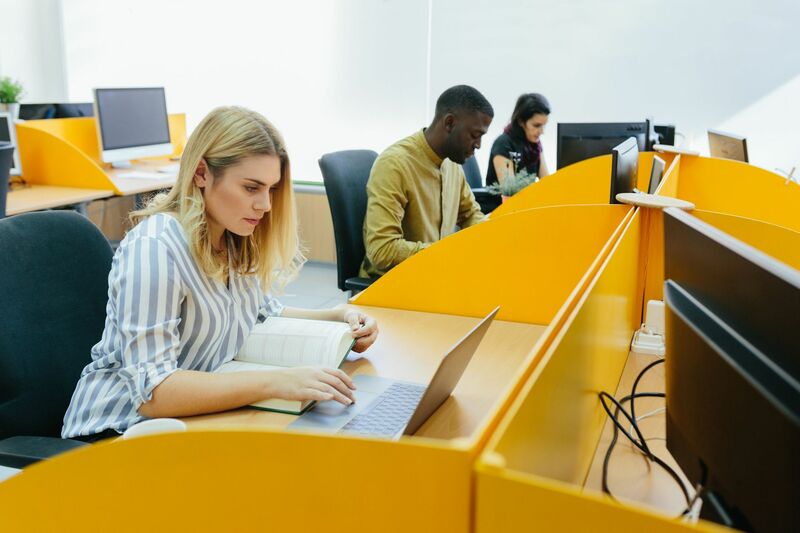 For this we have the best possible internet connection, meeting room equipped, reception, access with personalized code, office and rest areas and of course our team of specialized coworkers, who will be willing to give you a hand. 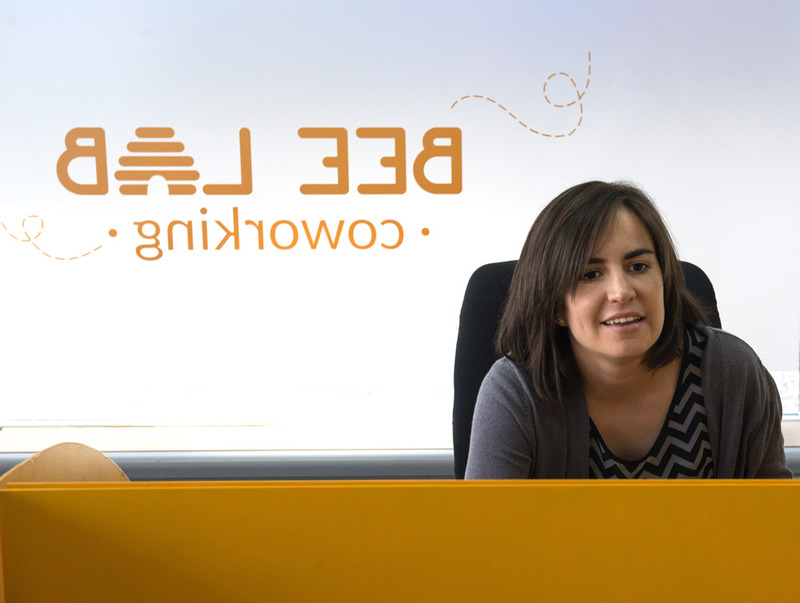 Bee Lab Coworking es un espacio de COWORKING en Madrid donde podrás trabajar, desarrollar tus proyectos, compartir ideas y colaborar, ya seas autónomo, freelance o pyme. En un espacio de más de 400m2 totalmente equipado, muy luminoso y con un entorno único de trabajo, creatividad y aprendizaje, podrás impulsar tu proyecto cargado de energía y motivación. 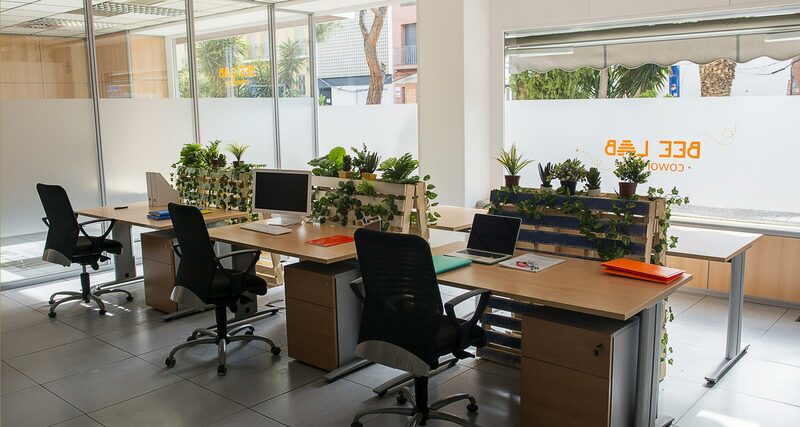 Nuestro coworking permite a nuestros miembros conectar entre ellos, trabajar productivamente y hacer crecer sus negocios, creando una sinergia positiva. Para ello disponemos de la mejor conexión a internet posible, sala de reunión equipada, recepción, acceso con código personalizado , office y zonas de descanso y por supuesto nuestro equipo de coworkers especializados, que estarán dispuestos echarte una mano. ¡Bienvenido a la colmena! Are you a member of Bee Lab Coworking? Amazing place, warm environment and excelent people! All brand-new facilities. 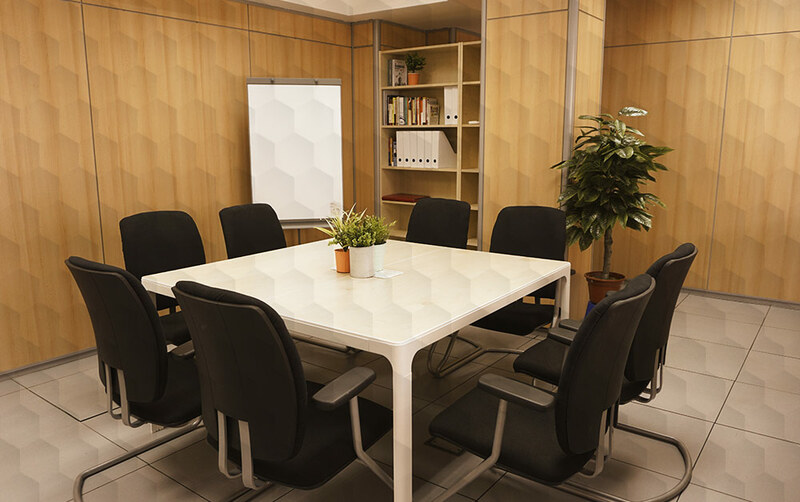 Fantastic facilities very close to public transport and sited within walking distance of one of the major business areas of Madrid. With lots of natural light and very spacious and comfortable. The staff is the nicest and super helpful if you need anything and the atmosphere is great, relaxed and friendly. 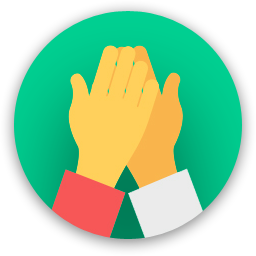 Social events are regularly organized to promote collaboration between coworkers. They also organize interesting workshops and conferences. Overall, very nice place to work if you are in Madrid! "Un lugar perfecto para trabajar." He pasado los últimos 3 meses trabajando en Bee Lab y sólo tengo cosas buenas que decir. El espacio es maravilloso, con mucha luz, amplias zonas comunes y con bastante disponibilidad para zonas privadas donde poder realizar llamadas mas tranquilas. El ambiente es mágnifico, y además se procura incentivar las relaciones con la gente organizando comidas con los demás coworkers y otro tipo de eventos, por si quieres hacer networking o simplemente socializar. Tanto Alfredo como Borja, que son los 2 socios, han tenido siempre un trato ejemplar, muy cercano, preocupándose siempre de que estés lo más agusto posible, atendiendo sugerencias y procurando que no te falte de nada. Los 2 son encantadores. 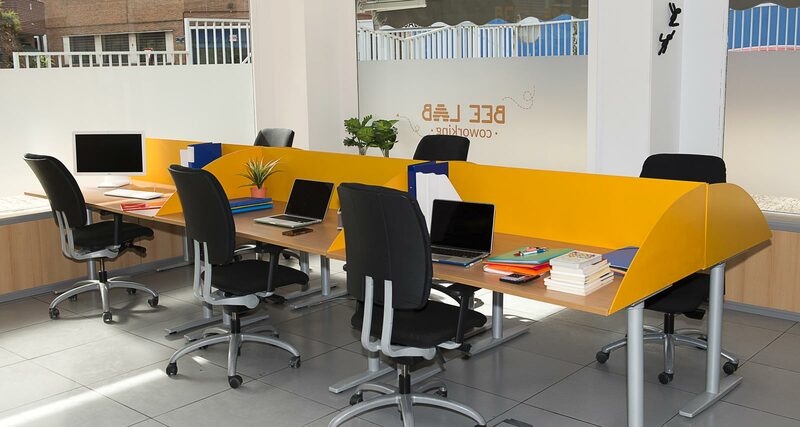 En definitiva, Bee Lab es un espacio muy profesional y relajado en el que puedes desarrollar tu actividad laboral de una manera muy eficiente y cómoda. Yo valoré muchos coworkings de la zona y estoy seguro de que no hay ninguno mejor. Fué sin duda una decisión acertada. 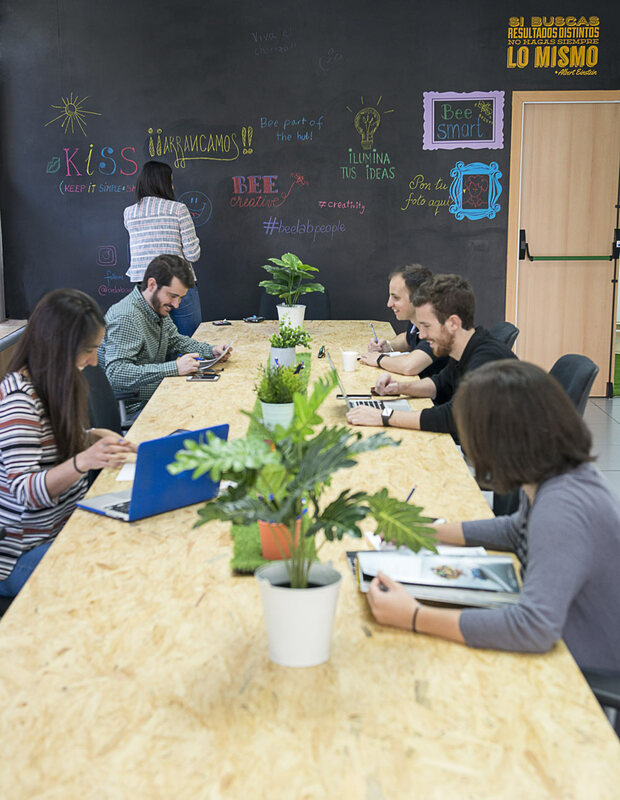 "Sensational coworking space in Madrid"
An exceptional coworking space in Madrid. 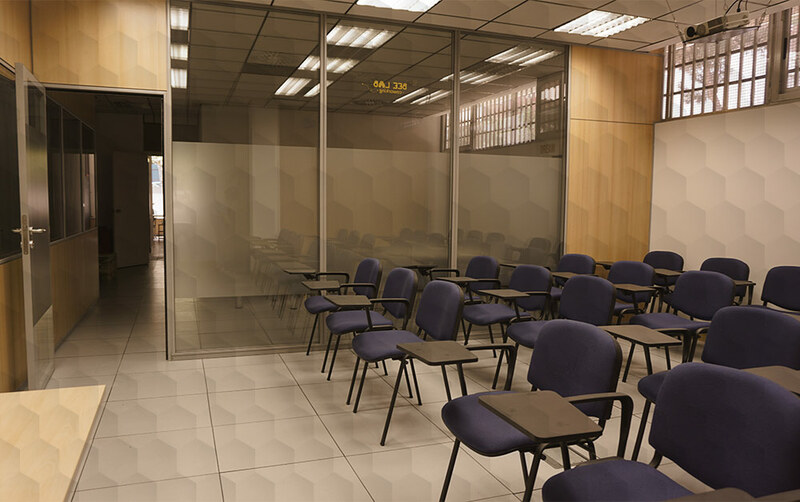 The facilities are very spacious and comfortable. There's a huge space for you to work in a really tranquil, warm and friendly ambience. The place is very well equiped and the WiFi connection is superb. The same applies to the meeting rooms. It is also excellently illuminated. The modern and stylish decoration, which makes you feel completely at ease, is a plus. Besides, there's an amazing lounge area covered with green grass where you can relax and interact with other coworkers. As for the kitchen, it is fully equiped and is the perfect place to have a break and enjoy a wonderful cup of coffee or tea. The staff is extraordinary, always willing to help. Due to its exceptional location, the space has good access to public transport with both subway and bus stops less than one minute away. All in all, if you are looking for a top-notch place with outstanding faicilities, a welcoming and cozy atmosphere and numerous advantages, this is your corner! Bee Lab is the place you are looking for! "THE BEST COWERKING AND COWORKERS "
Every Friday breakfast event. Some weeks, chicken for only a few €s!! It's a place that's warm, makes you feel confortable, not like an office but like home.... plants everywhere, green spaces, lovely kitchen decor.... Director and Manager are super nice, helpful all the time and friendly. Lots of people from different nationalities, which gives a cosmopolitan ambiance and a sense of warmness that I haven't found in other co workings. But the most important is that you work in a perfect environment full of light and happiness! Definitely a place where you can enjoy working and meeting people with whom you may collaborate. "Great place to work "
"Good installations and excellent people in charge." Each time I need a really good place for working, I go there. The facilities, location, environment, ...... and most important... the pleasent treatment from staff, makes the installations a nice place to stay. I highly recomend Bee Lab for those who need this kind of services. Don’t doub it. Go there. They are very proactive and can advice you on extra information regarding the city, transportation, restaurants, etc... whatever you need , they have a proposal Siempre que necesito un sitio agradable para trabajar, no lo dudo, voy a Bee Lab donde dispongo de excelentes instalaciones, medios tecnológicos y te dispensan un trato excelente. Great place! Great people! This is your best choice. No doubt about it!! HIGHLY RECOMMENDED.!!! Alfredo, your host, is a very helpful person and will make your stay an excellent experience. The staff, in general, is outstanding. They organize afterwork activities as well... not everything is trabajo, trabajo & trabajo..!!!! The location is perfect. It is a quiet area, very well communicated by bus & subway. You can even find a parking close by if you want to bring your car. Very close from AZCA, one of the major business district in Madrid. Many bars and restaurants in the neighborhood. The lab itself is a wonderful facility with excellent services. Guys, do not look for any other place. "Perfect space for our needs "
BeeLab offers a wonderful space to work and have meetings with any number of people. They have everything you need to spend a good day doing office work, from excellent Wifi to comfortable desks, etc. There are several meeting rooms where we found all the equipment we needed for our presentations. BeeLab is very conveniently located as well. Public transportation is perfect. The area is open and cheerful, the staff flexible, helpful and very professional. I would not hesitate to recommend BeeLab to anyone and I personally will be back to use their services any time I need a space in Madrid. Really in our experienceat Bee Lab we could have the level of concentration in our tasks that we needed. 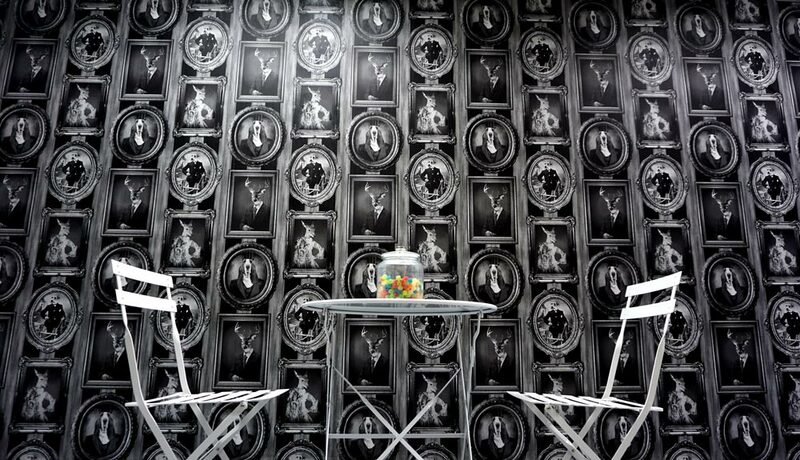 The quality of the lay out and the atmosphere allowd us to have an very effective meetings. Always, when my colleagues from other countries come to met us in Madrid they ask me to make a reservation in Bee Lab. I think that the enviroment of Bee Lab give us the ingredients that a diverse team need. In other side , the location of Bee Lab is quite good to have good amenities next block, so we could feel the city without transporation. "My best coworking in Madrid"
Sitio tranquilo y excelente para trabajar. Esta bien comunicado y seguro que repito. La gente que lo lleva ayuda en cualquier cosa. Hay un buen sitio de descanso, maquina de café y te y la red wifi que disponen es rápida y eficiente. En cuanto al sitio esta.muy bien decorado es funcional y es un sitio al que volvere y que recomiendo. No es facil encontrar sitios como estos en las grandes ciudades y tanta amabilidad por la gente que lo lleva. Definitivamente uno de los mejores labb en los que he estado. Muchas gracias y seguro que nos vemos de d3 nuevo. "LOVELY COWORKING SPACE IN MADRID"
One of the nicest spaces for coworking in Madrid, in a peaceful street next to down town and the City. Loads of natural light in a silent environment full of people working. 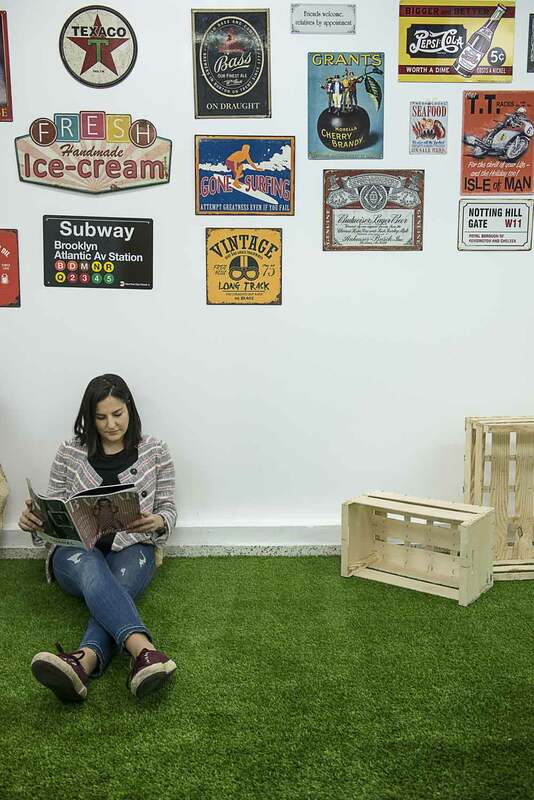 Also fun spaces where you can take a rest, play mini golf or just get down to the floor covered with a beautiful green grass, and a super kitchen where you may take your own food and share with others. Lots of info from the property, as well as special projects, interesting conferences with free access, and all in a cooperative manner. 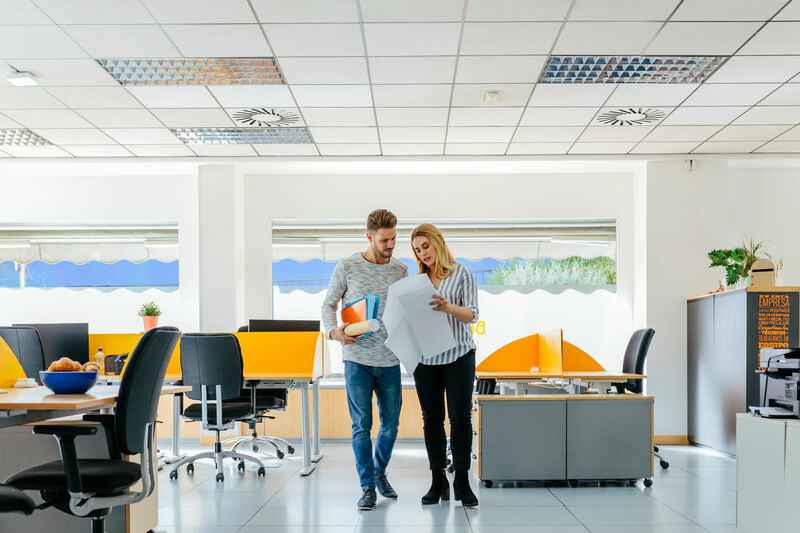 I have collaborated with Bee Lab Coworking and must say Alfredo and Borja are both excellent and have a wonderful disposition for helping and collaborating. Surely a place to highly recommend. "Excellent workspace with a productive and friendly environment. " I’ve been a member at BeeLab since they opened last summer. It’s a great space that offers flexibility for memberships, reliable internet, and a friendly environment. It’s not pretentious; there’s a good mix of SMBs and freelancers. The managers organize a consistent calendar of interesting events. The Location is central and conveniently located. There are shops, restaurants and metro stops close by. Plus it’s a short walk from Nuevos Ministerios, Madrid’s financial area, and Santiago Bernabéu stadium. The design is really cool; and well-thought out. The space is unique and welcoming. Really great space-kudos to the owners who have done an excellent job! 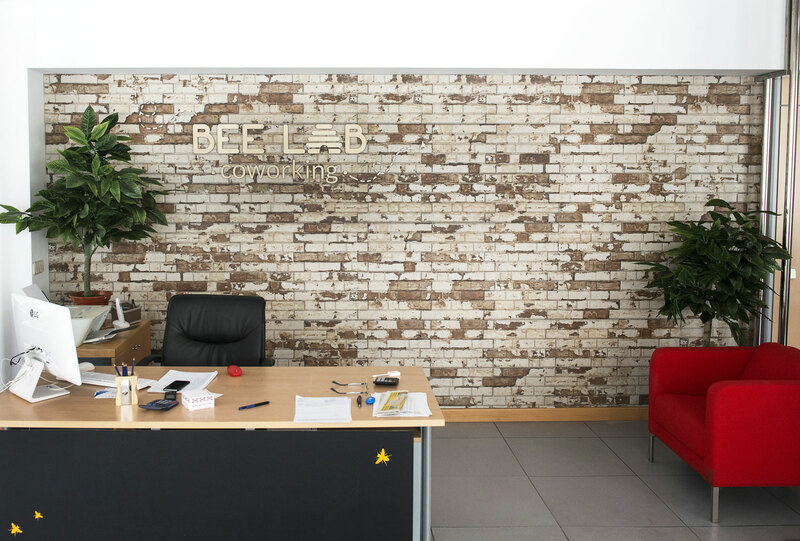 "Great Place, full of light and good networking"
Bee Lab people very helpful. 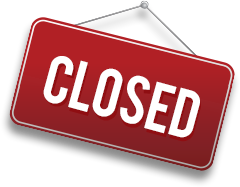 Bee Lab Coworking will be in touch with you soon to confirm. Bee Lab Coworking has received your membership enquiry and will be in touch with you soon.